Creativity is fueling commerce everywhere. With the democratization of powerful developer tools, access to open source software, greater access to massive bandwidth, more sophisticated mobile devices, low-cost sensors, and APIs that enable entrepreneurs to enrich their applications with cognitive computing, artificial intelligence and deep machine learning...nearly anybody with a clear vision and a passion to invent can build millennial businesses. While large enterprises continue to transform their cultures to compete faster, develop disruptive new products and solutions more aggressively, build open ecosystems and attract millennial talent and consumers, smaller companies - including start-ups - are inventing, building, and rolling out brands, products and services faster than ever. The Imagination Economy is being uplifted by the "New Currency" - and it's not bitcoin, or blockchain - it's human energy. That "brand currency" - "social network currency" - "innovation electricity" - thrives in a world where human beings from around the world can connect with each other and make the magic happen. Large enterprises will continue to benefit from massive investments in real-time communications infrastructure. They are finding that moving from a legacy infrastructure of TDM networking, servers, physical phones, and data centers to the cloud - is saving them so much money they can invest in R&D, hiring for expansion and even acquiring next generation businesses in order to compete. They are moving carefully and slowly too often, causing them to miss the new competition, the new challenger business models, and the overnight success stories that are passing them by so fast on the information superhighway that they may just seem like a peripheral blur. I have three college-age kids, and they teach me more about what's coming next than any expensive consulting firms, white papers and pundits ever could. Keeping up with them has required my wife and me to live on mobile, connect on apps, enjoy interactions online, and follow their progress as the millennials that will rule the planet perhaps faster than any of us "baby boomers" can imagine. Let me share a few examples of how other businesses are setting up shop with "three guys and a dog" and attracting tens of thousands of participants to their platforms and services in a matter of months, not years. These examples speak louder than words so I'm also including a few "user experience" images as real-time communications shifts from voice to messaging to multimedia messaging to immersive, interactive and co-creative. This is GENBAND's real-time communications platform as a service makes it easy for developers to either build freestanding voice, messaging and video applications or simply embed communications features into existing apps and workflow. Led by Paul Pluschkell, a serial entrepreneur and disrupter I’ve known since the 1990s, Kandy was built and leveraged by developers within months of our initiating the project and since then has announced dozens of deployments and significant partnerships with companies including SAP and IBM. Given our carrier grade technology based on two decades of software development and intellectual property foundation based on more than 200 patents, we were able to stand up this opex-only model platform and immediately scale it. But had we attempted to build this business the old fashioned way, we would not have succeeded. I learned about this platform when one of our kids interned there last summer. Based in a collaborative work space, three guys in their twenties have built a global collaboration platform that has attracted nearly 40,000 engineers and developers who are innovating together. Nobody is paid - they are all contributing. In the process, Collaborizm is becoming a go-to community for talent scouts, attracting corporations looking for talented makers as the need for digital developers is so great. I was recently introduced to the CEO of this company, Kevin Brombley, who in less than nine months attracted a community of nearly 80,000 IoT engineers and developers by offering them access to free code and a secure gateway that makes it possible to connect nearly any sensor and device with a sensor in it to any cloud, through any network type. 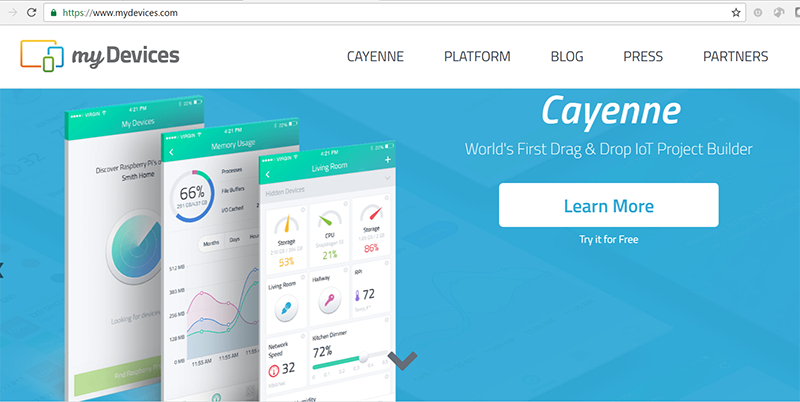 Their Cayenne platform has brought down the time to provision and connect devices to seconds, and includes a dashboard that a year or two ago would only have been available to large enterprises. Today we’re announcing a global "pajama hackathon". It’s completely virtual so that developers can code with Kandy, connect on Collaborizm, connect things using myDevices, and communicate with each other while adding communications features into their inventions blending IoT and RTC to solve problems, all from home, or anywhere else. Our pooled developer community numbers more than 100,000 people around the world, who we can reach out to literally within minutes. Will the winners actually create mass market products and services that will succeed in our noisy global marketplace? While there are no guarantees, it is thrilling to witness what I'm calling The Imagination Economy at work in new ways. I'll be sharing examples of the "I.E." and the "New Currency" that is turning ideas into innovations, and innovations into start-up businesses faster and more creatively than ever before. Big enterprises can learn a lot from these examples, and as we at GENBAND are doing with Kandy, think big by acting small to start, gearing up to compete with challengers who have no fear and amazing new tools.